The American Health Council honored Jesus Alvarez-Perez, MD as “Best in Medicine” for his outstanding contributions to the medical field. Dr. Alvarez-Perez currently serves as the director of obstetrics at Hackensack University Medical Group in Hackensack, N.J., where he conducts high-risk consultations ultrasounds, practices interventional fetal therapy transfusions and conducts general research. Since entering the healthcare industry 13 years ago, Dr. Alvarez-Perez has garnered comprehensive skills and knowledge in cardiac care, maternal and fetal medicine, diabetes and complicated medical management. Fascinated by the sciences and biology, Dr. Alvarez-Perez initially sought a career as a veterinarian. He eventually decided to pursue a career in obstetrics and gynecology and enrolled at the Universidad Central del Caribe School of Medicine. After earning a medical degree in 2000, he completed a residency in obstetrics and gynecology at Rutgers New Jersey Medical School. Dr. Alvarez-Perez is board certified by the American Board of Obstetrics and Gynecology in maternal-fetal medicine and obstetrics and gynecology and is a fellow of the American College of Obstetricians and Gynecologists. In addition to his role as director of obstetrics at Hackensack University Medical Group, Dr. Alvarez-Perez teaches residents and medical students at Rutgers New Jersey Medical School. He is proud to have been awarded the Resident of the Year honor in 2004 during his time at Rutgers New Jersey Medical School. He is an active member of the Alpha Omega Alpha Honor Medical Society, the Society of Maternal Fetal Medicine, the International Society of Ultra OBGYN and the American Congress of Obstetricians. 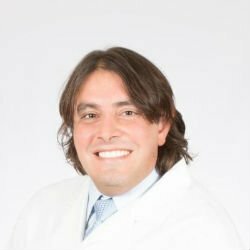 In his free time, Dr. Alvarez-Perez enjoys maintaining an active lifestyle by playing soccer, practicing judo and swimming. Most of all, he enjoys spending time with his wife, Robin, and their three children, Jesus III, Chris and Grace. He contributes time and funds to the Hackensack Meridian Health Organization. With a successful career at hand, Dr. Alvarez-Perez attributes his achievements to his ability to treat all patients with equality and respect. He plans to maintain his success by expanding his skills and growing in the obstetrics and gynecology field. At Hackensack University Medical Group Primary Care Associates (PCA), its mission is to help patients stay well and to care for them when they’re not. PCA is an integrated multispecialty network of physicians in PCA offices throughout the region and it’s focused on your health. All care is coordinated through a primary care physician with the goal of achieving comprehensive and focused care. At PCA, your entire healthcare team has access to your records electronically. Charts are updated and medications recorded through our Electronic Health Records system. If you need to spend time in the hospital, your records will be there as well. As a PCA patient, you can take advantage of our Patient Portal, a secure internet-based system that allows 24-hour a day access to your medical records including medications, allergies, immunizations, and test results.